My name belongs to Spring. I love the leaves of the Summer, I was born close to the Winter (October) but Autumn is always my favorite season of the year: silent and fresh air, calm water of the lake, gentle wind strokes though my hair. This song made me sad a little, as time goes by. So I made this picture to say hello to it while listening to the music. Feel free to use in your blog. 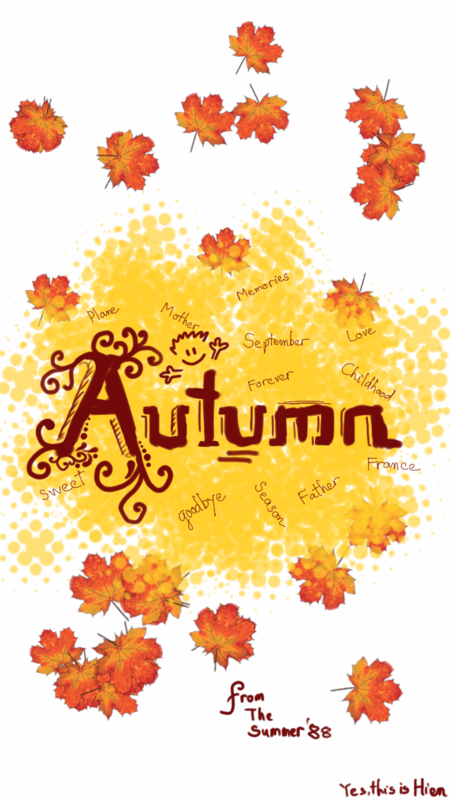 My name comes from Spring, i enjoy Summer, but I love the color of Autumn.